Our economy has undergone tectonic changes over the last several decades, and accounting rules have not kept up, rendering many traditional measures of value, quality, and risk unhelpful. By drawing on decades of experience as fundamental investors, we have developed customized measures of value and quality that are particularly relevant to today’s long-term investors. We utilize these measures in our investment process to exploit behavioral biases and seek to minimize risk by eliminating stocks that are either expensive, have volatile fundamentals, or are significantly indebted. Tom is Co-founder of Distillate Capital. Tom previously was Chief Investment Officer at Institutional Capital, LLC (ICAP), a Chicago-based value investment firm. Prior to joining ICAP in 2012, Tom was head of U.S. Equities at UBS Global Asset Management. Tom held several other senior investment roles at UBS and its predecessor organization, Brinson Partners, going back to 1985. Tom holds a BBA and an MBA from the University of Wisconsin in Madison, where he was a member of the Applied Security Analysis Program. Tom is a CFA charterholder. Jay is Co-founder of Distillate Capital. 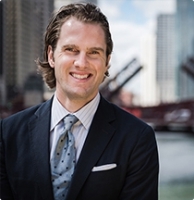 Jay previously worked for ten years at Institutional Capital, LLC (ICAP), a Chicago-based value investment firm where he focused on quantitative analysis and macroeconomic research and worked as an analyst in the basic resources, energy, and healthcare sectors. 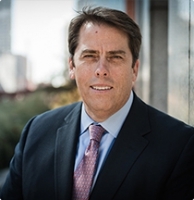 Prior to ICAP, Jay worked at Congaree River Limited Partnership, a family office. Jay has an AB from Brown University, an MBA from the University of Chicago Booth School of Business, and is a CFA charterholder. Matt is Co-founder of Distillate Capital. 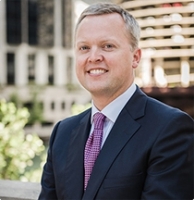 Matt previously worked for 18 years as a portfolio manager of U.S. and international value strategies, and as an equity analyst covering the healthcare industry at Institutional Capital, LLC (ICAP), a Chicago-based value investment firm. Matt has a BA in Economics from Northwestern University, and an MBA from Kellogg School of Management, Northwestern University. Matt is a CFA charterholder. Investing involves risk. Principal loss is possible. To the extent the Fund invests more heavily in particular sectors of the economy, its performance will be especially sensitive to developments that significantly affect those sectors. As a passively managed ETF, the Fund does not attempt to outperform its Index or take defensive positions in declining markets. As an ETF, the fund may trade at a premium or discount to NAV. Shares of any ETF are bought and sold at market price (not NAV) and are not individually redeemed from the Fund. Brokerage commissions will reduce returns.